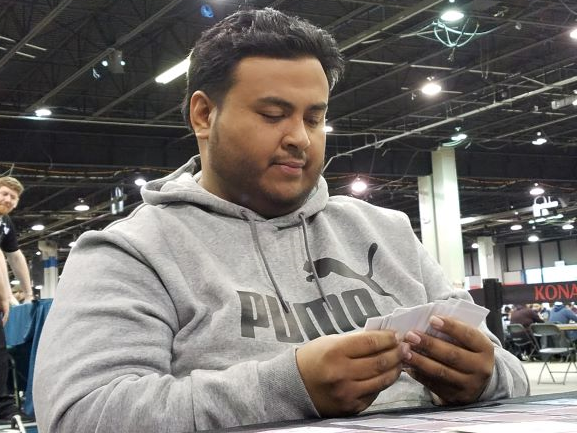 Welcome to Round 1 of YCS Chicago! We’re braving the freezing temperatures to bring you hot Dueling action! 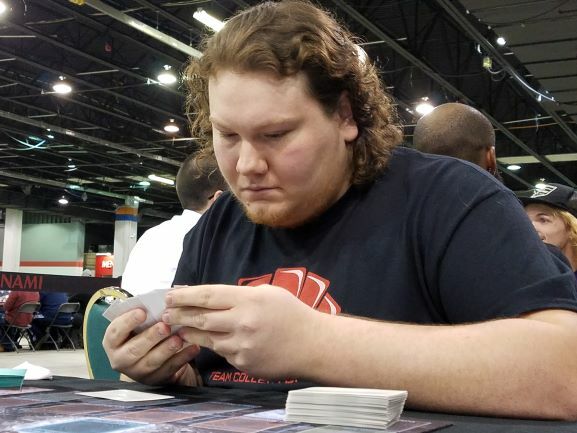 We’ve got Kansas City Duelist Jesse Choate here with a Danger! Deck, but not your typical one. This one takes a different… turn, if you will. He’s up against Michael Rodriguez from Bayonne, New Jersey. He’s playing a Subterror control Deck using the new Subterror Guru! This strategy focuses on abusing Guru’s effect repeatedly to completely shut the opponent down in tandem with Subterror Fiendess and Subterror Final Battle. Choate won the die roll and began with Emergency Teleport, and Rodriguez negated it with Ash Blossom & Joyous Spring. Choate used Danger! Bigfoot! in his hand, discarding Danger!? Tsuchinoko?. He Special Summoned Bigfoot and Tsuchinoko. He used Danger! Nessie! from his hand next, discarding the Nessie and adding Danger! Chupacabra! to his hand. He Set a card in his back row and used Chupacabra, discarding Danger!? Jackalope? with its effect. He Special Summoned Chupacabra and used Jackalope to Special Summon Danger! Dogman!. 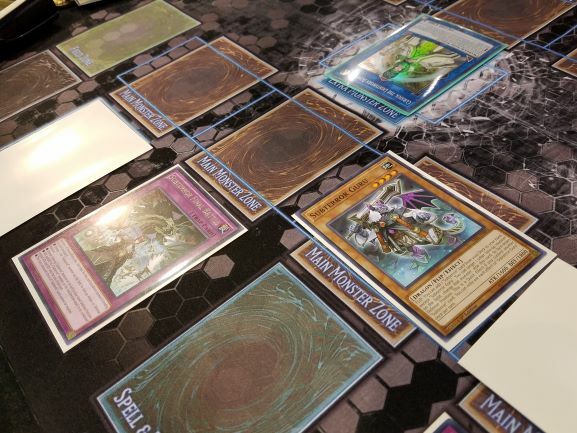 He used Bigfoot, Tsuchinoko, and Dogman to Link Summon Curious, the Lightsworn Dominion, using its effect to send Shaddoll Beast to the Graveyard. 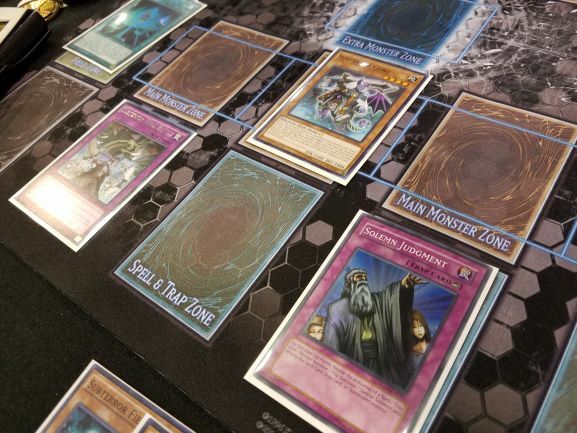 Shaddoll Beast let him draw a card, then Curious sent World Legacy Succession, Allure of Darkness, and Broww, Huntsman of Dark World to the Graveyard. He played The Beginning of the End to draw three cards! Allure of Darkness came down next, banishing Dr. Frankenderp. He used Card Destruction, and used his discarded Danger! Mothman! effect, discarding Chupacabra and Special Summoning Mothman. Thanks to Card Destruction and Mothman, Rodriguez had two Pot of Extravagance, Subterror Fiendess, Solemn Strike, and Subterror Behemoth Umastryx in his Graveyard; with Solemn Strike, Imperial Order, Pot of Extravagance, and Ash Blossom in his new hand. Nothing new that would help him stop Choate’s plays, since he’d already used an Ash Blossom this turn. Choate continued with a Set Field Spell, then Normal Summoned Phantom Skyblaster to get two Skyblaster Tokens. He used Curious, Mothman, and both Skyblaster Tokens to play Saryuja Skull Dread! Its effect let him draw four cards, then return three to his Deck. He played another copy of The Beginning of the End for three more cards! He flipped up his Field Spell: Light Barrier! He used Skull Dread to Special Summon Arcana Force XXI – The World, and Light Barrier let him pick The World’s “heads” effect! Mothman discarded Tsuchinoko which Special Summoned itself. He used Chupacabra from his hand, discarding Blackwing – Zephyros the Elite to Special Summon the Chupacabra. In the End Phase The World sent his Tsuchinoko and Chupacabra to the Graveyard to skip Rodriguez’s turn! Choate simply took another turn! He Special Summoned Dogman from his hand and Normal Summoned Mothman, taking the first Duel without allowing Rodriguez to take a turn! Rodriguez decided to play first, and had Terraforming, Gozen Match, Ash Blossom & Joyous Spring, Subterror Nemesis Archer, and Subterror Fiendess. He led with Terraforming to get The Hidden City, which he activated to add Subterror Guru to his hand. He Set it, then flipped it up with The Hidden City’s effect. Guru added Subterror Final Battle to his hand. He Set that and Gozen Match. Choate began with Twin Twisters, discarding Bigfoot to target both of Rodriguez’s traps. Rodriguez used Subterror Fiendess to negate it and turn his Guru face-down. Choate used Bigfoot’s effect to destroy The Hidden City. He used Mothman next, discarding Jackalope. He Special Summoned Mothman, then Jackalope Special Summoned Dogman. He Normal Summoned Dr. Frankenderp and used its effect, and Rodriguez negated it with Ash Blossom. He used Danger! Thunderbird! next, with just two cards in hand, and discarded the Thunderbird to destroy the Set Guru. Choate used all his monsters to play Curious, the Lightsworn Dominion, sending Shaddoll Beast to the Graveyard. 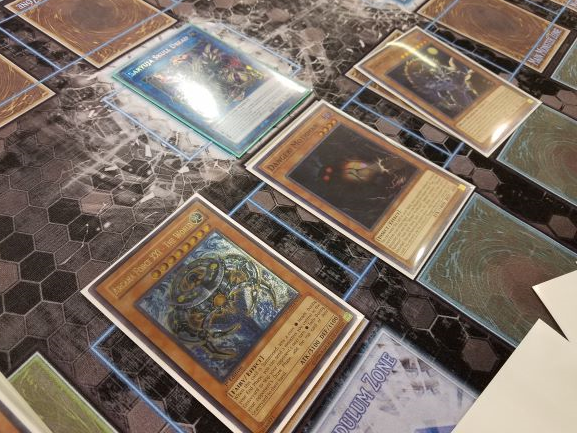 He drew a card with Beast, then sent Tsuchinoko, Galaxy Cyclone, and The Beginning of the End to the Graveyard with Curious. Curious attacked directly, and Choate Set a card in his back row to finish. Rodriguez drew another Ash Blossom. He had Ash and Nemesis Archer, along with Final Battle and Gozen Match Set. He played Nemesis Archer and attacked Curious, and Nemesis Archer Special Summoned Guru to the field face-down. He used Final Battle to flip Guru up, adding Fiendess to his hand. Choate played Phantom Skyblaster, and Rodriguez used Fiendess to negate the effect and turn his Guru face-down. Then, he flipped Gozen Match forcing Choate to send the Skyblaster to the Graveyard. Choate sent Curious to attack, and Rodriguez used Final Battle to increase Guru’s DEF to 3400! Its Flip Effect added Subterror Behemoth Umastryx to his hand. Rodriguez drew Pot of Extravagance! He used it to banish six random cards from his Extra Deck to draw Ash Blossom and There Can Be Only One. He used Final Battle to flip Guru face-down, which allowed him to Special Summon Umastryx from his hand. He Flip Summoned Guru and added his last Fiendess to his hand. Umastryx flipped itself face-down, and he Set There Can Be Only One. In the End Phase, Choate used Twin Twisters discarding Broww, and Rodriguez negated it with Fiendess, turning Guru face-down once more. Curious attacked Guru, and Rodriguez used Final Battle once again to boost its DEF. Choate was locked out of the game at this point and conceded! Choate started the third Duel with Allure of Darkness, and Rodriguez negated it with Ash Blossom. Choate continued with Thunderbird, discarding The Beginning of the End. He Set a Field Spell, then used Nessie with two cards in hand. He discarded the Nessie and searched his Deck for Jackalope. He used Jackalope and discarded it, using its effect to Special Summon Dogman in Defense Position. He passed. Rodriguez had Solemn Judgment, Pot of Duality, another Ash Blossom, and Terraforming. He drew Subterror Final Battle. He started with Terraforming to find The Hidden City, and played it to get Subterror Guru. He Set it and flipped it up with The Hidden City, searching out Subterror Fiendess. Pot of Duality came next, revealing Umastryx, Gozen Match, and Solemn Strike. He put Umastryx in his hand. He Set Final Battle and Solemn Judgment. Choate drew to two cards in hand. He switched Dogman to Attack Position and moved to the Battle Phase. Thunderbird attacked, and Rodriguez used Final Battle to put Guru up to 3400 ATK and win the battle. Choate used Bigfoot in Main Phase 2, discarding Broww. He Special Summoned Bigfoot and drew a card, then drew another with Broww. He played Allure of Darkness, and Rodriguez negated it with Ash Blossom. Choate used another Bigfoot from his hand, with no other cards in his hand. He discarded it, then Rodriguez negated the effect in the Graveyard with Fiendess! That flipped his Guru face-down as well. Rodriguez drew another copy of The Hidden City. He Flip Summoned Guru and searched for Fiendess. Guru attacked Bigfoot, winning the battle thanks to Subterror Final Battle. Choate drew his card and conceded, knowing he had no way past the Guru and Final Battle combo! Michael Rodriguez takes the Match with Subterrors!